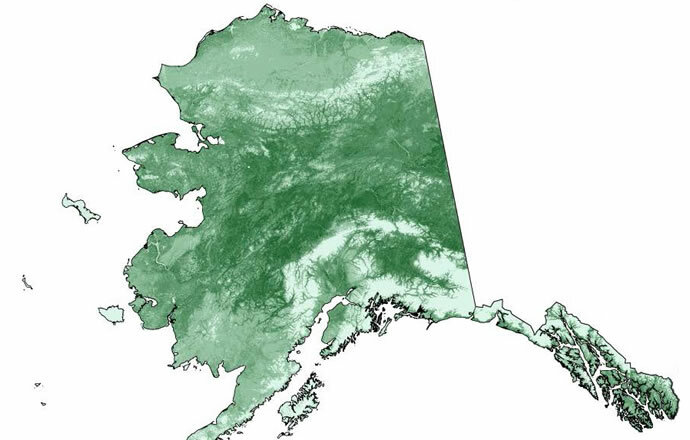 Associated with Alaska’s interior forests. 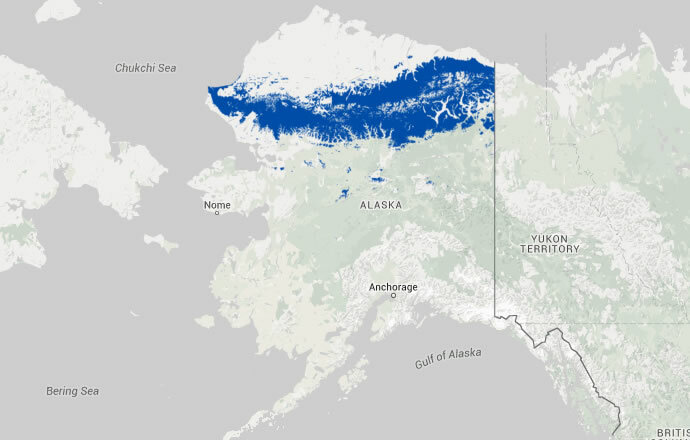 Inhabits diverse vegetation types, grassy meadows, open forests, muskegs, tundra. Breeds in shallow permanent or ephemeral water. Breeding habitat described as fish-free. Hibernates under snow in shallow depressions of compacted forest litter. Overwinters in areas surrounding breeding ponds. Tadpoles can’t withstand desiccation. Growth rate between fertilization and free-living is dependent on water temperature and mortality is highest at this stage. 50% survival occurs when temperatures are between 6 and 24C and drops outside these temperatures. However, Frisbie et al. (2000) found that embryos could tolerate short period of subzero temperatures (Herreid and Kinney 1967, Kirton 1974, Hodge 1976, Frisbie et al. 2000, MacDonald 2003, Redmer and Trauth 2005). Frisbie, M. P., J. P. Costanzo, and R. E. Lee Jr. 2000. Physiological and ecological aspects of low temperature tolerance in embryos of the wood frog, Rana sylvatica. Canadian Journal of Zoology 78: 1032-1041. Herreid, C. F. II. And S. Kinney. 1967. Temperature and development of the wood frog, Rana sylvatica, in Alaska. Ecology 48:579-590. Kirton, M.P. 1974. Fall movements and hibernation of the wood frog, RANA SYLVATICA, in interior Alaska. M.S. thesis. University of Alaska, Fairbanks. Redmer, M. and W. E. Trauth. 2005. Rana sylvatica. Pages 1-46 in M. Lanoo, editor, Amphibian Declines: The Conservation Status of United States species. University of California Press, Berkeley, Ca. Available at .